According to Natural Resources Canada, the average Canadian household consumes about 225 liters of hot water per day. This works out to about 75 liters per individual. That’s quite a lot of hot water when you really stop to think about it! Those long, hot showers and cozy warm baths feel great while they are happening. But then your energy bill arrives and the good feelings disappear. As colder temperatures approach, it seems like the perfect time to post some of our favorite tips for how to control what you spend for hot water use. If you are like the majority of Canadians, you probably use hot water for four main activities: washing dishes, washing clothes, washing food and hands, and showering. But guess what single activity accounts for nearly half of that hot water use? If you guessed showers and baths, you are correct. 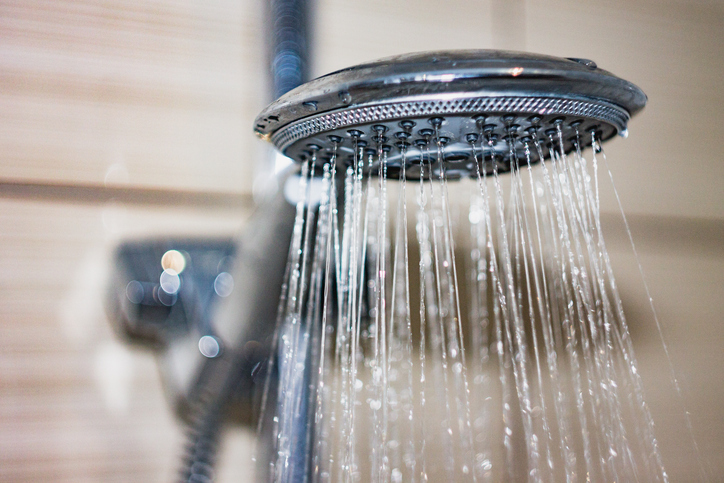 NRC’s most recent hot water use survey shows that 25 percent of daily individual hot water use can be traced to showers and 17 percent to baths. Hand-washing, food preparation and similar activities accounts for 34 percent of hot water use. Washing clothing requires about 15 percent and washing dishes, about 4 percent. The remaining 5 percent of hot water use daily is due to leaks. If you could reduce your use of hot water without feeling deprived, would you do it? Chances are good you just thought “yes!” And if reducing your use could also save you money on monthly utility bills and help save the planet, even better, right? So you are going to love this section, because we have tips for how to pull all this off and feel great doing it. This might seem like a no-brainer in this eco-conscious era, but it can be a surprising barrier to tackle in the age of too many choices. You think to yourself, “I’ll just pop down to the hardware store and pick up a low-flow faucet/showerhead.” But then you get there and there is a whole wall of fixtures to choose from! One easy way to narrow down your choices is to call us—we are happy to help you select a low-flow fixture that is economical and easy to install! Another simple way to reduce the number of choices is to look for a fixture that has a “trickle” valve. This allows you to keep a small amount of hot water running even when you are doing something that doesn’t require the hot water to be on at full flow. Or you can use this oldie-but-goodie instead: just turn off the shower when you are soaping up or shaving to reduce use of hot water. Baths feel really nice, but they can be more time-consuming and they definitely use more hot water! If you take a shower instead of a bath, you automatically cut your hot water use by half (that is, as long as you don’t stay in there for half an hour—aim for a five-minute warm shower to watch your savings add up). New research now suggests that it is perfectly safe and sanitary to run most clothes through a cold water wash and rinse. Of course, if you are washing baby diapers, hot water is still the number one choice! But for most other loads, simply switching to cold water can cut your hot water expenses by up to 20 percent each month. To maximize cleaning power, look for a detergent that is made to work with cold water washes. Even if you need to use warm or hot water for some loads, you can safely use cold water for rinsing all of your loads and cut your hot water use that way. You likely noticed that 5 percent of daily hot water use in the average household is caused by hot water leaks. NRC states that one leaking faucet (one drip per minute) costs you $1 a month. So for every slow-drip leak in your home, you pay $12 per year. Faster leaks cost even more. What is most amazing here is that most of these types of leaks are caused by a degraded washer, which is a simple low-cost fix. Another way to easily cut down on your household’s hot water use is to adjust the temperature setting on your hot water heater. According to the U.S. Department of Energy, the savings from making this change can be anywhere from 4 to 22 percent! The most common adjustment is also the safest for your household. Many residential hot water heaters are set at a default of 60 degrees Celsius (140 degrees Fahrenheit). This is considered the optimal setting to guard against bacterial growth, but it is also presents a known scalding risk. As long as no one in your household is dealing with immune system issues, lowering your water heater’s thermostat to 48.89 degrees Celsius (120 degrees Fahrenheit) is considered safe. As further incentive, this greatly reduces the threat of scalding and can save you anywhere from $36 to more than $400 annually depending on the type of hot water heating system you have. Insulation guards against interim heat loss and helps boost efficiency of your hot water heating system. If your hot water heater has not had our signature cost-saving, efficiency-boosting preventative maintenance service for some time now, this is the perfect time to schedule your service by giving us a call at 905-549-4616 or contacting us online.